Description: Sfera Ekologii offers sorted waste collection from offices, and is working towards changing mentalities regarding waste management in Russia. Sfera Ekologii’s services have been of interest to the Russian offices of international companies (BBC, Greenpeace, WWF, Microsoft, Intel, the Marriott hotel chain, embassies and visa centers of the UK and Germany). Why do we love it: Waste segregation is still underdeveloped in Russia. Sfera Ekologii is contributing to changing mentalities! Can you summarize Sfera Ekologii in one sentence? 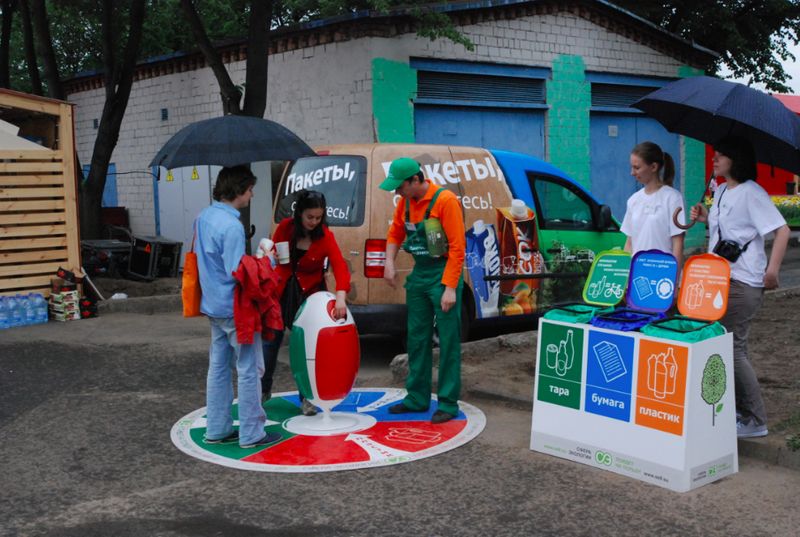 « Sfera Ekologii » is a company engaged in segregated waste collection and in raising environmental awareness in Russia. Where did the idea for Sfera Ekologii come from? Anton Kuznetsov’s idea started in a Moscow. The owners of local kiosks dumped their garbage right underneath the windows of apartment blocks. Anton and some friends set up a « neighborhood initiative » and started compacting the waste and segregating it into piles. Then they found out that a number of types of waste had a resale value. The huge piles of garbage around Russian cities deface the countryside, poison the air, and frequently cause fires. Europe recycles and re-uses up to 65% of all waste whereas Russia is at 3-4% at most. This is caused by the Russians’ attitudes towards resources, the major garbage collectors’ lobby, and underdeveloped infrastructure. However, the situation is gradually improving. Kommersant has attempted to figure out who segregates waste into categories in Russia and how one can motivate others to do the same. Anton Kuznetsov’s path to the garbage business started in a Moscow courtyard. The owners of the vodka kiosks that sprang up in the early 90s would dump garbage right underneath apartment blocks’ windows. Anton and some friends set up a « neighborhood initiative ». « First, we tried to take it up with the Caucasus natives who owned these kiosks. But then we simply started compacting the waste and segregating it into piles. Suddenly we found out that a number of types of waste have a resale value,” he tells a Kommersant correspondent, stroking his full beard. 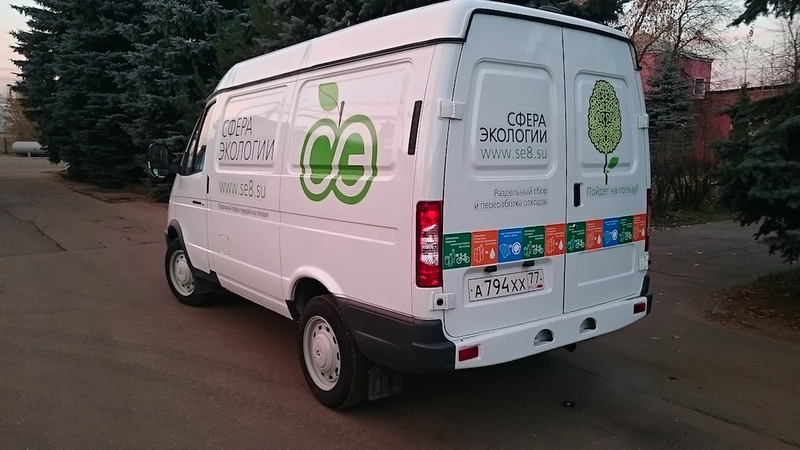 Today, Anton runs « Sfera Ekologii » (Sphere of Ecology), a company engaged in segregated waste collection and in building an environmental awareness in Russia. The path from taking things up with the nascent entrepreneurial class to an office in the Artplay Design Center near Kurskaya metro station took about 20 years. In addition to companies and office centers – which make up the bulk of the client base – there are five thousand individuals that bring segregated waste to Sfera Ekologii’s collection locations on a regular basis on their own time and, on occasion, spending their own money. « Tsentr Ekologicheskihkh Initsiativ » (Center for Environmental Initiatives) and « Chistaya Planeta » (Clean Planet) are two other companies in the same field. Kuznetsov is even happy at the arrival of competition: the market is much greater than the current service offering. The idea is relatively simple: recyclable waste (such as, glass, cardboard, containers, etc.) is collected from those that generate it, segregated, and transported to a facility where it is used as manufacturing feedstock. A minimum of engineering innovation, yet the benefits are huge. 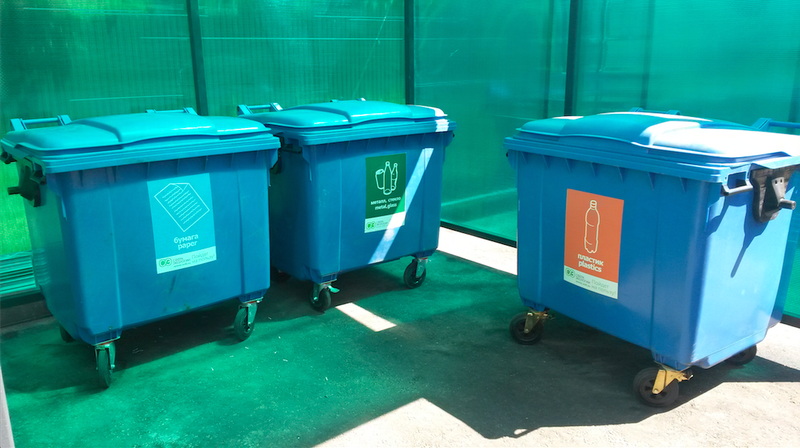 The alternative to segregated collection and recycling is either incineration or burial. Incinerating waste produces dioxins which cause cancer, while burial generates an equally poisonous filtrate which is a ground water pollutant. That is why Europe recycles up to 65% of its waste. For most Europeans, waste recycling is natural. Thus, most of Sfera Ekologii’s Russian clients are Western companies: Tetra Pak, Unilever, Nespresso, Volkswagen, and many others. Non-profits do their part as well, such as the World Wildlife Fund, the UN Development Programme, and the British Embassy. « When expats arrive in Russia, they are confused because segregating garbage is a long-standing habit. That is why we found ourselves at the right place at the right time in the mid-2000s. There was demand,” says Kuznetsov. For the moment, this approach is taking root at a very slow rate in Russia: not even lethal mercury-vapor lamps or batteries are being removed from the general piles. But even if they were, their collection locations are normally to be found deep inside outlying districts that are very difficult to get to. The two primary reasons for this lack of awareness are an underdeveloped infrastructure and the high costs of recycling. The cheapest solution is simply to dump the waste in landfill at a cost of about 1,000 rubles per ton. Conflicting information is available regarding the other options. According to Artamonov’s predecessor, Ex-Coordinator of Greenpeace’s Toxic Program Alexei Kiselev, recycling costs about EUR 250 per ton, while the cost of incineration is EUR 500. The authors of the 2012 report published by the Federal Service for the Supervision of Natural Resource Management believe that incineration is less costly, especially given the electrical power generated by waste incineration plants. Artamonov is certain that the reason for this is the lobbying undertaken by the owners of waste incineration plants for this type of waste management. Russia has virtually no infrastructure for waste segregation. However good a job individuals do of segregating waste, it needs to be segregated again, more professionally, before recycling. There are no fewer than 10 kinds of plastic alone. Some are suitable for food storage, others only have non-alimentary uses. This segregation can only be done by hand, or by using expensive equipment. No one is willing to bother. Plarus in Solnechnogorsk and RB-Group in Gus Khrustalny are the rare exceptions. Thus, according to the Rostech Corporation, Russia has 31 billion tons of waste stored at 200 landfills with 15% of that amount coming in on an annual basis. Between 7 and 10% of new waste is incinerated, 3% is recycled, and the remainder is buried under a thin layer of soil, at best, and decomposes, poisoning the air. Artamonov believes that the public will have a hard time developing an environmental conscience without the Government’s help. « There should be a packaging tax, and purchases from manufacturers of recycled goods should be subsidized,” he says with conviction. For the moment, the Government looks like it is only going through the motions. 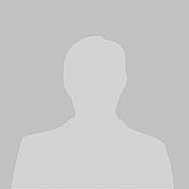 Starting in 2012, the Government of Moscow conducted an experiment. A group of contractors were selected to collect and recycle segregated waste. The project was priced at 70 billion rubles and slated to run 15 years. In early 2015, Greenpeace activists conducted a study (which Kommersant covered in Issue No. 109, 06/24/2015) of contract performance. It turned out that of the 162 locations established by the project, a quarter did not function at all, while another 23 functioned in an irregular manner. As for multi-colored waste containers for segregated collection, deployed in Moscow’s parks in 2012-2013, their function appears to have been largely decorative. « I was unable to find out where the waste from these trash cans was going. I came to the conclusion that it was simply being dumped into a regular container and taken to a landfill,” Kuznetsov says adamantly. 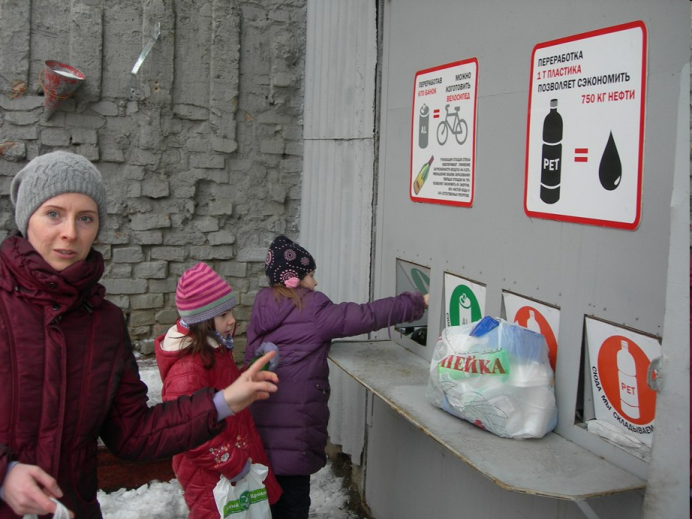 In December 2014, the State Duma adopted some amendments to the Statute on Waste which provides incentives for recycling. « It needs to be enhanced with subordinate regulations that provide the specifics, but the overall trend is positive,” notes Artamonov. Based on the contents of the Greenpeace report on the recycling project’s problems, many contractors started to improve after the report came out. The most important aspect remains: good personal and corporate environmental awareness. In the short term, Kuznetsov plans to implement waste-free processes at manufacturing facilities. Product waste would be collected quickly and efficiently, brought back to the facility, and turned into feedstock. Not only is this environmentally friendly but also profitable. A strong argument in times of crisis. Des montagnes d’ordures entourant les villes russes gâchent le paysage, empoisonnent l’atmosphère et provoquent souvent des incendies. En Europe, le traitement des déchets et leur recyclage représentent près de 65 % contre un peu plus de 3-4 % en Russie. Les raisons de cela : la relation entre les Russes et les ressources, le lobby des grandes sociétés de collecte des ordures ménagères et un manque d’infrastructures. Cependant, la situation s’améliore progressivement. « Ъ » a tenté de comprendre qui fait le tri sélectif en Russie et comment motiver les autres sociétés. Le business des ordures ménagères d’Anton Kuznetsov a commencé dans les cours de la ville de Moscou. Les propriétaires des kiosques d’alcool, apparus au début des années 90, jetaient leurs poubelles par la fenêtre des immeubles. Avec l’aide d’amis, Anton a organisé un « groupe d’initiative ». « Au début, ils ont tenté d’éclaircir les relations avec les personnes d’origine caucasienne qui possédaient ces kiosques. Puis, ils ont tout simplement rassemblé les ordures en faisant des tas. Soudain, il est apparu évident que de nombreux déchets avaient une valeur commerciale », dit-il au correspondant « Ъ », en caressant sa barbe en éventail. Aujourd’hui, Anton est le directeur de la société Sfera Ekologii, spécialisée dans le tri sélectif et le développement de la conscience écologique des Russes. Près de 20 ans se sont écoulés entre l’éclaircissement des relations avec la classe entrepreneuriale émergente et le passage par les bureaux du centre de conception Artplay à Koursk. Outre les entreprises et centres d’affaires qui représentent la majeure partie de la clientèle, cinq mille personnes amènent en permanence des déchets triés aux points de collecte de Sfera Ekologii en prenant sur leur temps libre et leur argent. Il existe d’autres sociétés telles que Centre ekologuicheskikh initiativ et Chistaya planeta. D’ailleurs, Kuznetsov est ravi d’avoir de la concurrence : L’espace pour cette activité est encore incommensurable par rapport à l’offre du marché. L’idée est assez simple : les déchets recyclables (verre, carton, bouchon, etc.) sont récoltés auprès des producteurs de déchets, triés et transportés au centre de traitement de la société où ils sont utilisés comme matière première pour la fabrication de produits. Ceci nécessite un minimum d’innovations techniques et l’utilité est colossale. Il existe une alternative au tri sélectif : l’incinération ou l’enterrement des déchets. La combustion des déchets dégage des dioxines qui provoquent le cancer et l’enterrement est non moins qu’un filtrat toxique empoisonnant les eaux souterraines. C’est pour cette raison qu’en Europe, près de 65 % des déchets sont recyclés. D’après Dmitry Artamonov, responsable de la campagne Detox de Greenpeace en Russie, les champions du traitement des déchets sont l’Autriche, l’Allemagne et la Suisse. « En Russie, la situation diffère selon les régions. Le tri sélectif a remporté un franc succès à Moscou, Rostov-sur-le-Don, Petrozavodsk et Yaroslavl », fait-il remarquer au cours de son interview avec « Ъ ». Malheureusement, il n’existe pas de chiffres officiels, mais d’après des audits réalisés à travers la Russie, le niveau de traitement dans les régions est de près de 3 % et, à Moscou et sa périphérie, 4-5 %. « Tout est une affaire de volume de ressources. Le pays est grand et nous n’avons pas pour habitude d’économiser », avoue Kuznetsov. « Par contre, en Finlande, entre 2000 et 2010, suite à la hausse des prix de certaines ressources, le traitement des déchets est passé de 0 % à 100 % ». Pour la majorité des Européens, le traitement des déchets est un geste naturel. C’est pour cette raison que les principaux clients de Sfera Ekologii en Russie sont des sociétés occidentales telles que Tetra Pak, Unilever, Nespresso, Volkswagen et bien d’autres. Les organisations à but non lucratif apportent également leur contribution : le Fonds mondial pour la nature, le Programme de développement des Nations Unies et l’Ambassade du Royaume-Uni. « Lorsque les étrangers viennent en Russie, ils sont perdus, car cela fait longtemps qu’ils ont pour habitude de faire le tri sélectif. C’est pourquoi, au milieu des années 2000, nous avons suivi le courant, car la demande était là », affirme Kuznetsov. En Russie, cette approche s’adapte mal : dans les poubelles communes, les lampes au mercure et les piles dangereuses ne sont même pas retirées. Et même si c’était le cas, les points de tri se trouvent généralement au fin fond des régions reculées, difficiles d’accès. Les deux principales raisons d’inconscience sont l’absence d’infrastructures et le coût élevé du tri. Le moins cher est de tout simplement vider ses ordures à la décharge, cela coûte près de mille roubles par tonne (soit 14,50 euros/tonne). Des informations divergent. Pour le prédécesseur d’Artamonov, ancien coordinateur de la campagne Detox de Greenpeace, Alexeï Kisselev, le traitement d’une tonne reviendrait à environ 250 euros contre 500 euros pour l’incinération. D’après le rapport du Conseil public de Rosprirodnadzor (l’Agence russe de protection de l’environnement) publié en 2012, l’incinération revient moins cher, surtout compte tenu de l’électricité produite dans les usines d’incinération des ordures ménagères (MC3). Artamonov en est sûr : la raison vient du fait que les propriétaires de MC3 ont le monopole de ce type d’utilisation de déchets. L’infrastructure pour le traitement des ordures ménagères en Russie est pratiquement inexistante. Même si les citoyens ne triaient pas leurs déchets avant de les envoyer au centre de traitement, il faudrait encore les trier, car cela est plus professionnel. Le plastique existe sous plus de 10 formes différentes. Certains sont utilisés pour conserver les produits, d’autres uniquement pour des besoins techniques. Tout doit être fait manuellement ou à l’aide d’équipement coûteux. Et personne ne veut s’en charger. Cependant, il existe de rares exceptions comme les sociétés Plarus à Solnetchnogorsk et RB-group à Gous-Khroustalny. Par conséquent, d’après les données de la société publique Rostex, sur les 31 milliards de tonnes d’ordures ménagères en Russie, près de 15 % arrivent dans les 200 décharges. 7-10 % des nouveaux déchets sont incinérés, 3 % sont recyclés, le reste pourrit et empoisonne l’atmosphère, dans le meilleur des cas, ils sont absorbés par les sols. Artamonov pense que sans l’aide de l’État, il sera difficile d’effectuer un travail de conscience écologique des citoyens. 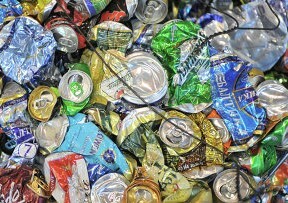 « Il faudrait mettre en place une taxe sur les emballages et accorder des subventions aux fabricants de produits recyclés », assure-t-il. Dans l’intervalle, les efforts du gouvernement dans ce domaine ressemblent plus souvent à de l’imitation. Depuis 2012, le gouvernement de Moscou a mis en place une expérimentation. Un groupe d’entrepreneurs a été choisi pour effectuer la collecte et le recyclage du tri sélectif. Le projet a coûté 70 milliards de roubles (1 milliard d’euros) et prévu sur 15 ans. Les activistes de Greenpeace ont mené une enquête sur l’exécution des contrats au début de l’année 2015 (« Ъ » en a parlé dans son numéro 109 du 24 juin 2015). Ils ont constaté que sur les 162 points du projet seul un quart ne fonctionnait pas du tout et 23 travaillaient de manière aléatoire. En ce qui concerne les poubelles de couleur pour le tri sélectif, installées dans les parcs de Moscou en 2012-2013, elles avaient plus une fonction de décoration. « On n’a pas su m’expliquer où allaient les déchets de ces poubelles. J’en ai conclu qu’ils étaient tout simplement déchargés dans un container ordinaire et emmenés à la décharge » a assuré Anton Kuznetsov. En décembre 2014, la Douma a modifié les textes de loi sur les déchets afin de favoriser leur recyclage. « Il faut encore ajouter des actes conditionnés à la concrétisation, mais de manière générale, la tendance est positive » a déclaré Artamonov. Après le rapport de Greenpeace sur les problèmes liés au projet de recyclage, de nombreux entrepreneurs, selon leurs dires, ont commencé à s’y intéresser. Voici la partie la plus importante : la prise de conscience écologique des citoyens et des entreprises. Kuznetsov envisage à court terme d’organiser des circuits fermés au sein des entreprises industrielles. Les déchets provenant de produits usagés sont récoltés rapidement et efficacement, renvoyés à l’usine et transformés en matière première. Ceci est non seulement écologique, mais aussi économique. Un solide argument en temps de crise.